Write a story, myth or fable about a tree. Have you ever noticed how important trees are in many religions? You may already be familiar with the tree in the Biblical Garden of Eden, whose fruit gives the eater knowledge of good and evil. But did you know Eden also contains a tree of life? If you touch it, the verses say, you’ll have eternal life. According to Buddhist teaching, Buddha Siddhartha Gautama sat still for seven weeks and achieved enlightenment beneath the Bodhi (fig) Tree of Bodh Gaya. And in many conceptions of the universe the idea of a ‘world tree’ is a common motif: in Old Norse cosmology, the entire universe comes from a single tree called Yggdrasil. Trees are also important in lots of stories – think of the woods in Hansel and Gretel; the woods that lead us into Narnia; Tolkien’s Ents; the forest that takes us into hell in Dante’s Inferno; Enid Blyton’s Faraway Tree; the Whomping Willow in Hogwarts’ grounds; the wych elm in E.M. Forster’s Howards End. Why do we see trees as so magical? Time for your first writing prompt! Read Don Paterson’s poem ‘Two Trees’. 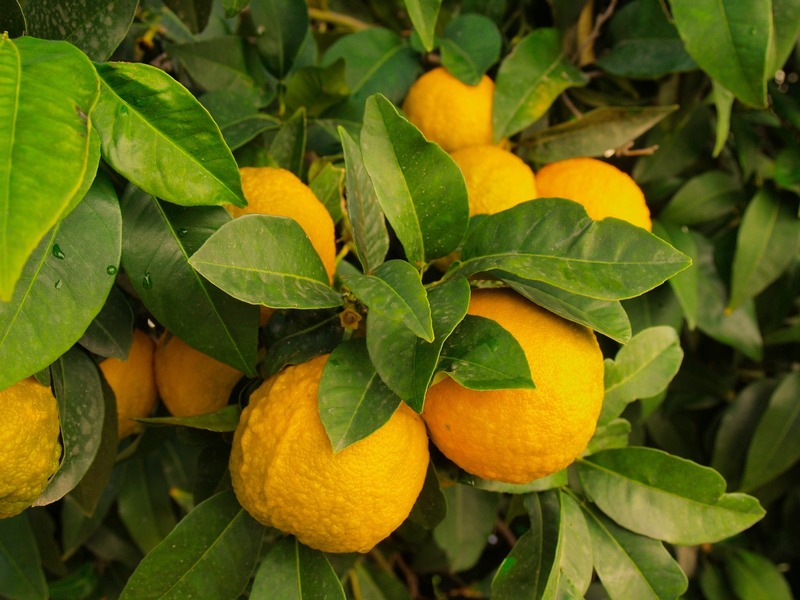 The poem tells the story of Don Miguel and his orange/lemon tree. Curiously, it ends by denying the tree symbolises anything: ‘They were trees, and trees don’t weep or ache or shout. / And trees are all this poem is about.’ Paterson suggests we shouldn’t read anything into the tale… But by telling us what the trees don’t do, the reader is forced to think about it. Paterson mixes up people and trees: he uses tree-language to describe Don Miguel (an idea is ‘rooted’ in his head) and human-language for the tree (the branches are called ‘limbs’). Even as he says one thing, Paterson is suggesting the opposite. Your first poetry prompt is to write a story about a tree. You could invent a story, or research a myth or story associated with a famous tree (such as John Keats’ mulberry tree, Isaac Newton’s tree or the Trafalgar Square Christmas Tree). You could tell the reader something while showing them the opposite through your choice of language. If you get stuck, choose one single line from Paterson’s poem (or another tree poem in this challenge), write it at the top of your page and free-write responding to it in some way – carrying on the thought in that line, reacting against it or taking it as a point of inspiration. Write a poem about tree language. The word ‘tree’ has an ancient root (if you’ll pardon the pun). According to some, it comes from the Proto-Indo-European root *deru-, meaning ‘be firm, solid, steadfast’, relating to wood and trees. Write down as many names of specific trees and their parts as you can: spruce, oak, yew, branch, twig, root… You might like to look up pictures of trees to find out their names – the Woodland Trust website might be helpful if you’re based in the UK. Scribble down anything that pops into your head! Names (or lack of names) might be a starting point for a poem, as it is for W.S. Merwin, who begins his poem ‘Native Tree’: ‘Neither my father nor my mother knew / the names of the trees’. The poem’s speaker explores what happens when we name something. Do you think a word can capture the tree-ness of a tree? What about a word in another language? You might like to write a poem about naming trees – a previous poetry challenge about names might inspire you further. You may be inspired by the beauty and mysticism of trees-words. Read Howard Nemerov’s poem ‘Learning the Trees’ in which he pays tribute to ‘The language of the trees’. The speaker’s tender feeling is felt in their lists: ‘samara, capsule, drupe, legume and pome’. But despite learning tree-language, the speaker ends the poem feeling ‘their comprehensive silence stays the same’. You might like to use your list of tree-words to think through this idea. Write a poem about a tree that you love, hate, fear or feel strongly about. Look again at your list of tree-words and think about the memories and stories you associate with these trees. Are you drawn to any particular tree? What is special to you about a beech, as opposed to an acacia, or a baobab? Some trees might not conjure any memories or images; some might remind you of when you were little, your house or walk to school. Read Catherine Bowman’s poem ‘Story of a Tree’ in which the speaker describes a tree they love in San Antonio. Examine the striking images in Bowman’s poem, notably, ‘You were my first true church’. Can you use similarly evocative images in your poem? and this reminded me of my last-but-one visit to Beijing. The gingko tree grows in a different country from the speaker’s home, and as such it’s associated with ‘Chineseness’ in this poem. 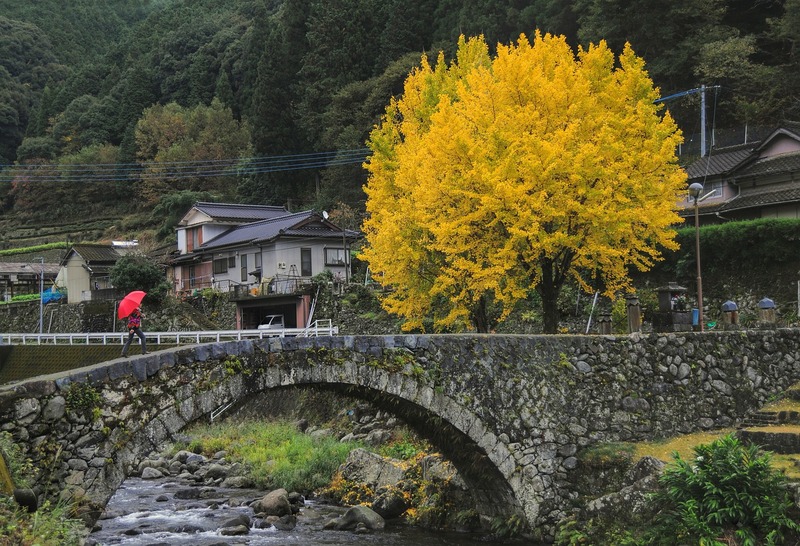 But for millions of people, gingko trees represent home, and maybe not a Chinese culture. This idea of ‘foreignness’ is difficult to navigate and might be interesting to think about in your poems. You may have a particular relationship with a particular type of tree, but that relationship is different for everyone. Write a poem drawing parallels between a tree and a person. In stories and our imagination, trees often have personalities, or can speak. Incredible as it may sound, some people think trees can communicate with one another through their roots. They have even been described as ‘social’ organisms, as they seem to look after their sick by re-routing nutrients underground. You might like to research more tree facts which could inspire you to bring a tree to life – for instance, did you know that ‘trees are the longest living organisms on Earth and never die of old age’? Make sure to hone in on the specific detail: what attributes do trees have, as opposed to any other kind of organism? And what characteristics does this particular tree have? Is it (un)like yourself, or someone you know? In her poem ‘A Young Woman, A Tree’, Alicia Ostriker hones in on a tree’s colour when comparing a young woman to ‘that red tree – / The one that bursts into fire / All this week’. This juxtaposition is a source of vivid and unexpected images throughout the poem. Could you focus on one aspect of a tree to think about a person? Just as we can comfort trees, trees can comfort us. Read Jackie Kay’s ‘The Kindness of Trees’. This tree ‘understood everything that was bad / And everything that was good’; ‘When every child was asleep in bed, / The tree sang a lullaby.’ And people, too, sing to the tree, ‘A song of what we know without knowing.’ You might like to write about how trees have comforted you or someone else you know, and what solace we can bring them in return. that I hadn’t yet started climbing. Describing these physical attributes might lead you on to thinking about something more abstract, like ‘what we love’, or ‘growing up’, or ‘trust’. It is difficult to write about trees today without thinking about deforestation, climate change and fossil fuels. Many of the products we use every day are made from trees or cause trees to be cut down. A recent UK supermarket advert showed the destruction of forests and orangutan habitats caused by palm oil production. By some estimates, more than half of products sold in supermarkets contain palm oil and dozens of orangutans (and other creatures) die every day as a direct result. Perhaps you’d like to write a poem in defence of trees, as in A.F. Harrold’s poem ‘In The Tree’s Defence’: ‘Inside their sturdy hearts of wood / trees are simply doing good.’ You could write a speech-like poem, listing and defending all the good things trees do. his property, the square backyard. Though she died 90 years ago, Charlotte Mew explores the issue of deforestation in a similar way in ‘The Trees are Down’. Mew’s form is also bold and brilliant, moving around the page just like a tree in the wind – maybe you could think about experimenting with form. The Poetry Foundation website has a great section on poetry and the environment. As well as the poems you can find there, you may like to read some essays about ecopoetry, nature and panic, and understanding forests scientifically (and through poetry). There are also interviews with ecopoets which might inspire you. 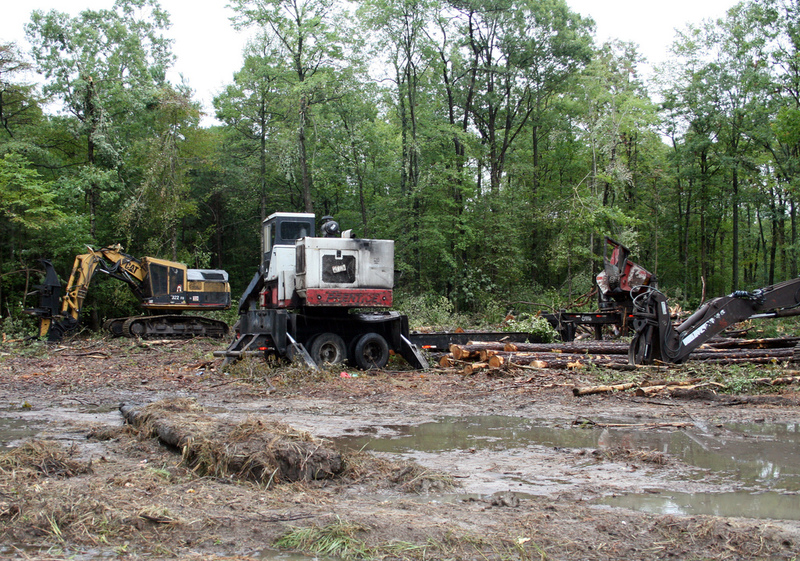 Logging of pine trees. Photo Credit: Jane Hawkey | IAN. Write about the Christmas Tree. Christmas Trees loom large in Western tree culture: many of the poems we’ve looked at reference Christmas trees, from e.e. cummings to Jackie Kay. 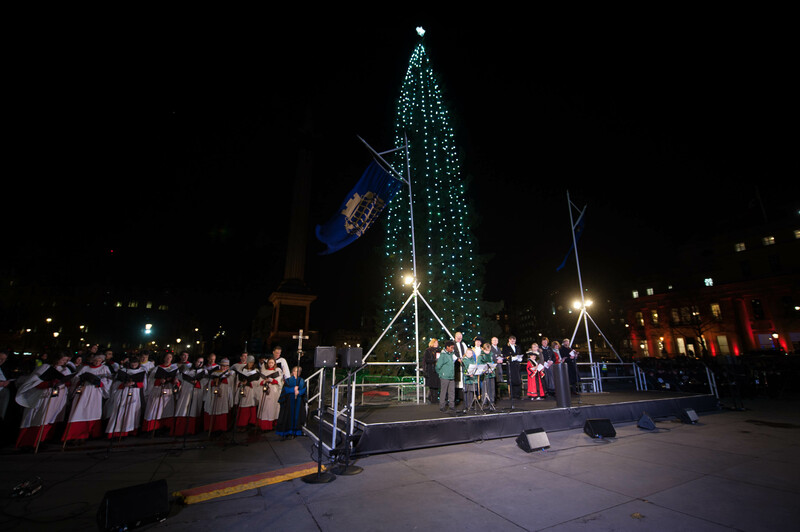 We’ve got a bank of Christmas Tree poems: each year, London schoolchildren write poems about the Trafalgar Square Christmas Tree (gifted to London from Oslo), and The Poetry Society commissions a children’s poet to write in response to their work. The final poem is then hung around the tree in Trafalgar Square for the festive period. You can find all past Trafalgar Square Christmas Tree poems for free here and see this year’s poem in Trafalgar Square soon. we’re having, let it be extravagant. Trafalgar Square Christmas Tree. Photo credit: Hayley Madden for The Poetry Society. 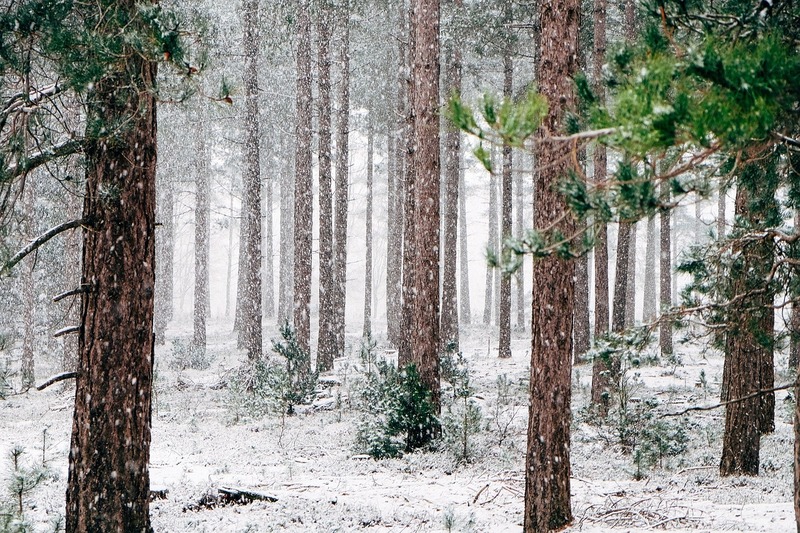 Write a poem inspired by trees. You can follow the prompts above, or you can be inspired in your own way! Selected poets will be published on Young Poets Network and sent an exclusive Young Poets Network notebook as well as poetry goodies. The Woodland Trust have also kindly contributed a special print of Robert Macfarlane’s poem ‘Heartwood’ for the top three winners. This challenge is now closed. We hope to announce the winners towards the end of February 2019, and will let everyone who entered know the results via email. This challenge is for writers aged up to 25 based anywhere in the world. The deadline is midnight, Sunday 20 January 2019. You can send a poem written down, or a recording as a video or as an audio file. You can send as many poems as you like. If you are sending a written version of your poem, please type it into the body of your email. If you are sending a video or audio file, please attach it to the email (making sure it’s no bigger than 4MB or it won’t come through) or send us a link to where we can see/hear it. 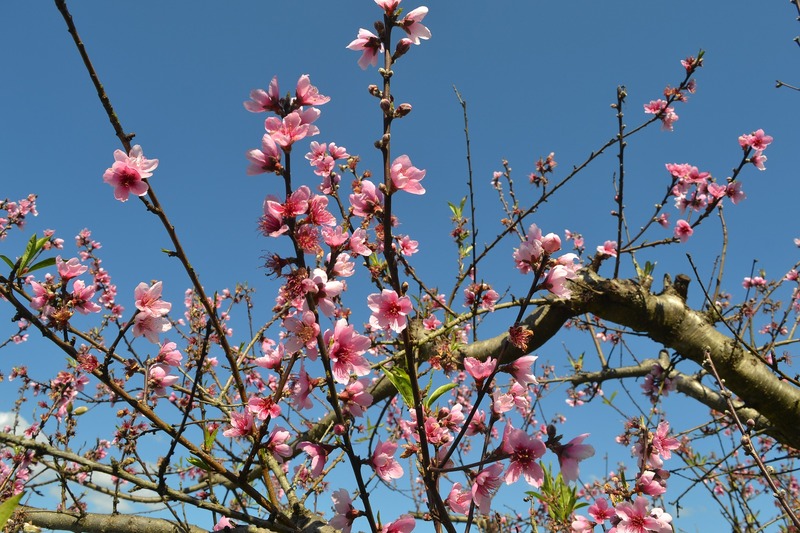 Send your poems to educationadmin@poetrysociety.org.uk with your name, date of birth/age, gender, and the county (or, if you’re not from the UK, the country) you live in and the subject line ‘Tree challenge’. If you are aged 12 or younger on 20 January 2019, you will need to ask a parent/guardian to complete this permission form; otherwise, unfortunately we cannot consider your entry. This is due to new data protection laws. If you would like us to add you to the Young Poets Network mailing list, include ‘add me to the mailing list’ in the subject line of the email. If you would like us to confirm that we’ve received your entry, include ‘confirm receipt’ in the subject line. You may refuse to provide information about yourself; any information you do/don’t give will not affect your chances of winning. By entering, you give permission for Young Poets Network, The Poetry Society to reproduce your poem in print and online in perpetuity, though copyright remains with you. Please do be sure to check through the general Terms and Conditions for YPN challenges as well. We all need trees. They’re essential for people and wildlife and are deeply rooted in our history and culture. The Woodland Trust stands up for trees everywhere as the UK’s largest woodland conservation charity. It owns and cares for more than 1,000 publicly accessible woods, protects ancient woodland under threat and plants millions of native trees every year. You can support the Woodland Trust by becoming a member from just £4 a month at woodlandtrust.org.uk/join. Is there a limit to how many lines the poem can be? Thanks for your comment. No, there is no line restriction for this challenge. Looking forward to reading your poems! is it possible to send you a link of a poem stored on my google drive instead of putting it into the body of an email? Thanks for your comment. It makes it easier for us if your poem is in the body of an email, however if the link can be accessed by anyone (i.e. not just sent uniquely to one email address) we can accept Google Drive links. We look forward to receiving your poem! Can the response to the first prompt be a prose piece of writing, or, must it necessarily have to be a poem? Thanks for your comment! On Young Poets Network we offer poetry challenges and your submission will be judged as poetry. If you’re a natural prose writer we’d love to challenge you to try a new form. We hope you consider submitting! Hi Srushti, we’d love to receive an entry by you if you’re aged 25 or younger! Follow the instructions above. Are you allowed to enter more than one poem for this competition? Thanks for your comment – you can always enter as many poems as you wish into Young Poets Network challenges (and we encourage you to! ), unless otherwise stated. We look forward to receiving your poems. Can we make a poetic animation for this challenge and will that be published on the website (the video)? Thanks for your comment – we’d love to receive a poetic animation! Your entry would be considered alongside all the other entries to this challenge, and if it was a winner in the challenge we would publish it to the Young Poets Network website. Please note that, as with any entry to Young Poets Network challenges, the video would have to be unpublished anywhere, including on Facebook, Instagram, Twitter, blogs etc. Thanks again, and we’re really looking forward to receiving your entry! Hi, thanks for your comment – it’s really helpful. It says here that send the video via email whereas in the T & Cs it says send it via WeTransfer. What should I do then? Good question – it depends how big the file size is. Most videos will be too big to send in an email, so we recommend using something like WeTransfer (which is free to use and you don’t need a log in to access). If your video is small enough to fit in an email, by all means do send it by email if that’s easier for you. Please add ‘confirm receipt’ to the title, and if you don’t receive confirmation that we’ve received it within 2-3 days try a different method. Please also include the details about yourself such as name, age, gender, county/country however you submit. If I wanted to submit both a poem and a recording of the me reading it, what would be the best way of doing this if the video won’t fit as an attachment? Thanks for your comment. You can send it to us in two separate ways, as long as you make it clear that you’d like the text and the recording to be considered together. For instance, you can email us the poem along with your details, and send us a WeTransfer (or similar) link for the recording, saying to look out for the text in a poem. Hope that makes sense – let us know if you have any questions. If you’d like us to confirm that we’ve received both parts, put ‘confirm receipt’ in the subject heading of each part! Hey, when are the winners of the competition announced? Thanks! Thanks for your comment. The winners will be announced towards the end of next month (we hope! ).